Maine’s Bold Coast has its own culture, pace, and charm. 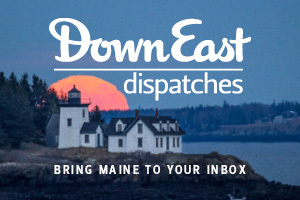 We head Down East to Eastport, Lubec, Jonesport, and Beals. By Virginia M. Wright. It’s always 1861 when Maine’s Dirigo Vintage Base Ball Club takes the field. Put your knickers on and play ball with Maine’s old-school boys of summer. By Rob Sneddon. For some, hiking’s biggest reward is not at the summit. Is there peace of mind waiting on a Bigelow Mountain trail? By Virginia M. Wright. Concerts, hiking trails, small-town festivals, food trucks — we didn’t hold back. Our annual summer planner lays out 137 options for designing your perfect summer itinerary. By Caroline Praderio. Can you identify this colorful beach? What Maine summertime event are you looking most forward to? Cover: The Dirigo Vintage Base Ball Club, New Gloucester, August 2014, by Séan Alonzo Harris.